Continually calling them The Shins has always been a sticky situation, given the unstable nature of the band's lineup. Either we need to admit The Shins is just James Mercer's performing name, or it's gonna have to be "James Mercer and The Shins". Dude is running the show at this point, no doubt about it. 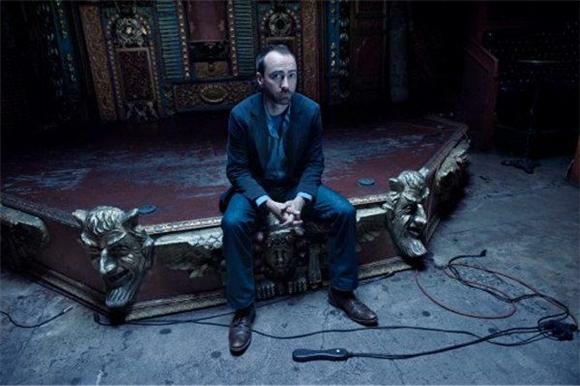 But despite the musical chairs of the people behind him, James Mercer has persisted—making music as the frontman of The Shins for nearly fifteen years, and being responsible for some of the most beloved indie rock jams of the aughts. His infamous voice rang out again in New York at the Bowery Ballroom, where the old material was met with riveted enthusiasm, and the new material with cautious optimism. Mercer's trademark widow's peak was a welcome site as the band immediately launched into two classics; "Caring Is Creepy" (one of the two tracks from their self-titled that skyrocketed the band into mainstream success, thanks Zack Braff) and "Australia" from 2007's Wincing The Night Away. The audience seemed strangely cognizant of Mercer's path as a musician, treating his troubles with departing band members and his elongated Broken Bells hiatus as forgettable. I mean, this guy wrote a song that was played at Heath Leger's funeral! He's a legend! The newer tracks were met with stifled cheers, but cheers nonetheless. We're interested in hearing a fully fleshed out Shins recording in early 2012, but for now, we were just happy to hear our old friends from The Shins ringing out again somewhere else than our headphones. Although "New Slang" was slightly warped to allow for an electric guitar and a synthesized tambourine, a departure from the original's very organic feel, the words still sting as sharply as they did ten years ago. The surroundings may change, but the core is still compelling. At one point, an eager fan passed a note to Mercer with a song request. "We've never played that one" he said, and we fear we'll never know what song was on that slip of paper. But it's moments like that, etched in our minds, that make evenings with an aging band special. Our own personal inside joke, something to enhance the experience we already had ten years ago when we first encountered Mercer's voice in the live setting.